Hello Ladies! I hope you've all had a fabulous Christmas and are excited for the New Year, I can't believe how quickly 2013 has flown by! As I now have a new camera, it's so much easier for me to gt a good quality picture of my face for FOTD's so you'll be seeing my face a lot more on my blog now (I apologise in advance!). 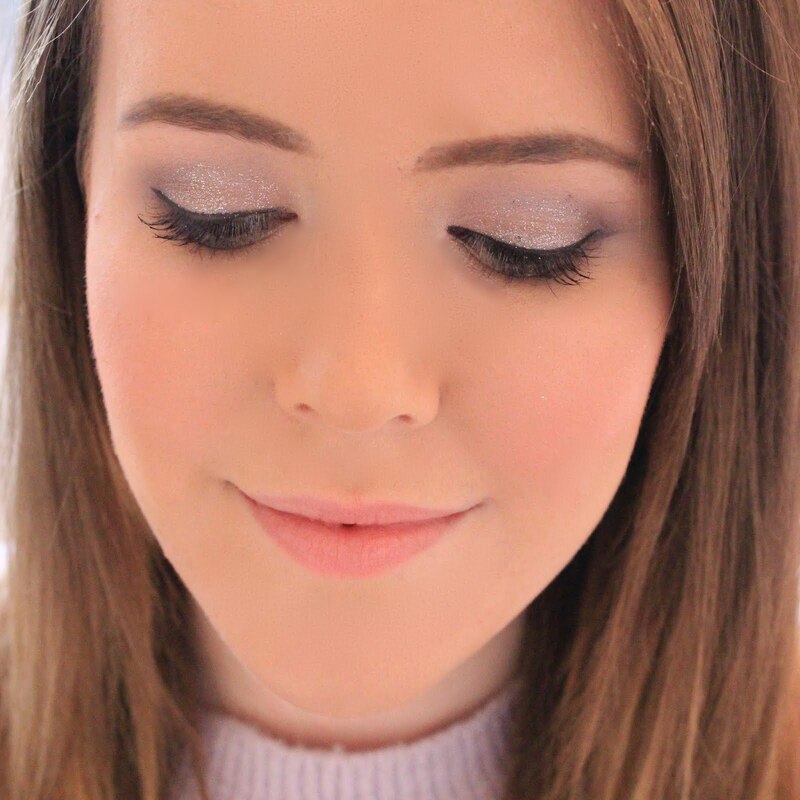 I thought I would pop a quick face of the day using the Naked 3 palette as a couple of you tweeted saying that you would like to see some looks I created with it. This is my first face of the day post so please be kind haha! For my base I used a combination of the MAC Studio Sculpt foundation mixed with the YSL Touche Eclat foundation as I felt that my skin needed a little bit of extra coverage today and then just topped it off with my trusty MAC Studio Fox powder to keep my face shine free all day. I decided to keep my face quite simple today as we are having family round and I didn't want to look too glammed up so I just finished off my face with MAC's Pink Swoon blusher which is perfect for achieving a nice pink flush. Next, on to my brows. To fill in my brows I just used the Sleek Brow Kit then brushed them through using the Elf brow brush to make them look slightly more natural. Next I moved onto my eyes which I primed with my Urban Decay primer potion in Original. I've only just bought the Naked 3 palette so I'm still getting used to all of the colours and decided to keep it a little bit more simple today. On my lid I used Dust and Burnout mixed together to create a light golden pink colour similar to the Pink Gold Colour Tattoo by Maybelline so you could easily use that as a drugstore alternative. To darken my crease and outer corner I just added a light dusting of Liar to add a bit more depth to my eyes. To finish off the look I used Blackheart from the Naked 3 palette as a liner and added a few coats of the Maybelline Mega Plush mascara to open up my eyes. And as no look would be complete without lipstick I applied my favourite lipstick at the moment, MAC Lovelorn. So there you have it, an actual close up picture of my face and my very first face of the day post! I'd love to know what you thought of this post and if you'd like to see more like this, so please let me know in the comments below! Such a great subtle look. I can't get myself to take the plunge for the naked 3 yet, but your makeup in this look certainly helps!